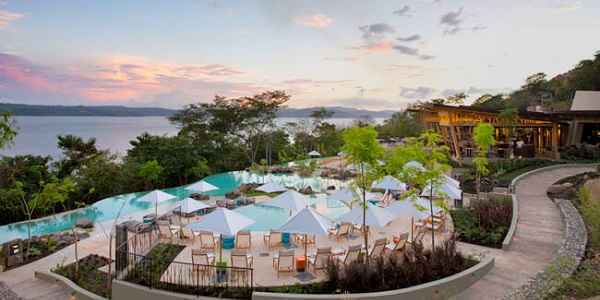 As one of the world’s top vacation destinations, Costa Rica is blessed to be home to some of the best hotels, resorts and spas. Check out some of our favorites. From boutique Ecolodges tucked away in incredible rainforest, to opulent beach suites, if you want luxury and uniqueness then Costa Rica can provide. Here at Costa Rican Vacations we have personally stayed in every hotel we offer our clients and all that hard work means we know our hotels. The beautiful beaches of the Northern Pacific region are also home to some of the most famous—and some of our favorite—places to stay. Villa Buena Onda is an adults (over 12) only boutique resort offering all-inclusive but not as you know it. Three meals a day are provided but our chef will create anything you desire, just ask! The hotel itself is located close to Papagayo bay and with only 7 bedrooms you can be assured of very personal service. Sticking with the all-inclusive theme, but on a different scale to Villa Buena Onda, is the Westin Playa Conchal. Here you will find 406 rooms on over 1500 acres of forest and beach. 7 restaurants, huge pools and any number of activities, make the Westin a firm favorite and especially amongst families. The Reserva Conchal is situated next to the Westin Conchal but offers a luxury condo service. Here you will find great service, amazing scenery and luxury amenities to rival any destination, including an 18 hole golf course. Further south along the Central Pacific Coast you will find the famous resort of Manuel Antonio and here you can find some of our favorite hotels. Si Como No, Tulemar Resort’s villas, and Arenas Del Mar all offer complete luxury for vacationers. Arenas Del Mar is a stunning boutique hotel offering the highest level of luxury possible in a jungle setting. Jacuzzi’s, private decks and the Las Brisas Spa ensure this hotel is a favorite. If you desire to travel even further South to explore the more remote area of Osa then you do not have to compromise on your accommodation. Here you can find the Lapa Rios Eco Resort; winner of the Conde Nast award for Hotel’s committed to the environment. Set in a private reserve of over 1000 acres you will truly experience nature on your doorstep. We hope this gives you an idea as a starting point for your Costa Rica vacation but please call or email us to find out more about all the other wonderful hotels we offer. 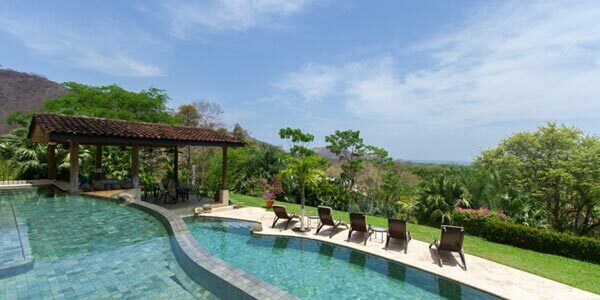 At Costa Rican Vacations we do not promote a hotel we would not stay in ourselves.